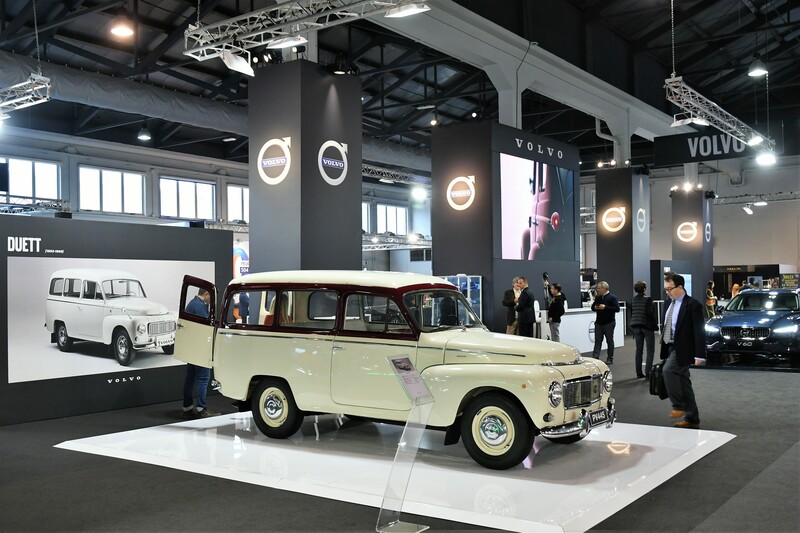 The last week of October saw us at the 35th Auto Moto d’Epoca show, staged as always in Padua. 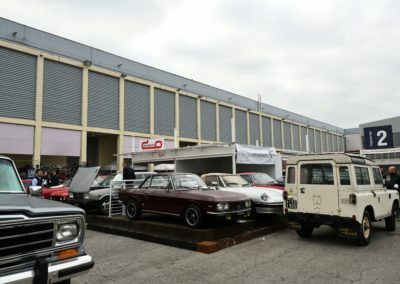 Considered one of the most important shows of this kind in Europe, “Padova” confirmed its reputation as a good show that is based on average cars more than “unique” pieces, and an event where you can spot some very interesting cars. 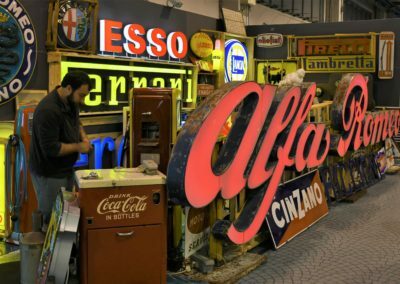 It is also an “Aladdin’s cave” of spare parts for Italian cars. 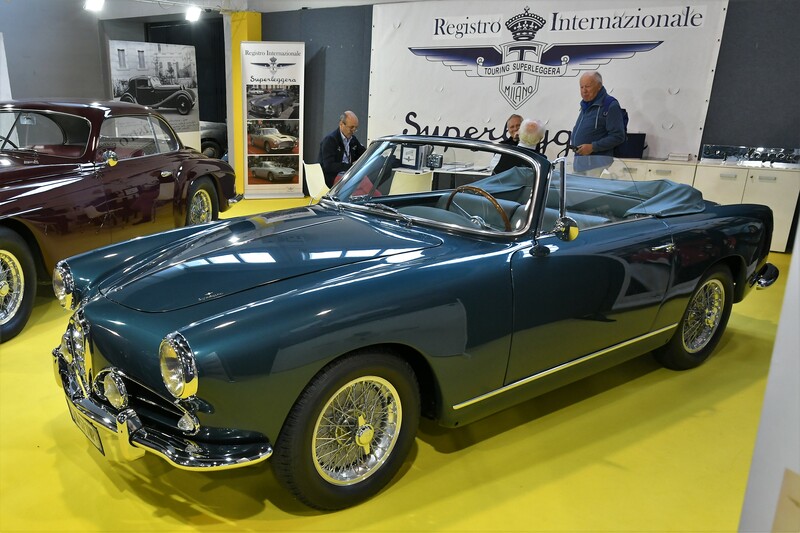 Bonhams organized quite a successful auction, too, which featured some interesting lots and achieved a sale rate of 56%, with the top lot, a Ferrari 250 GT, selling for EUR 510,000. 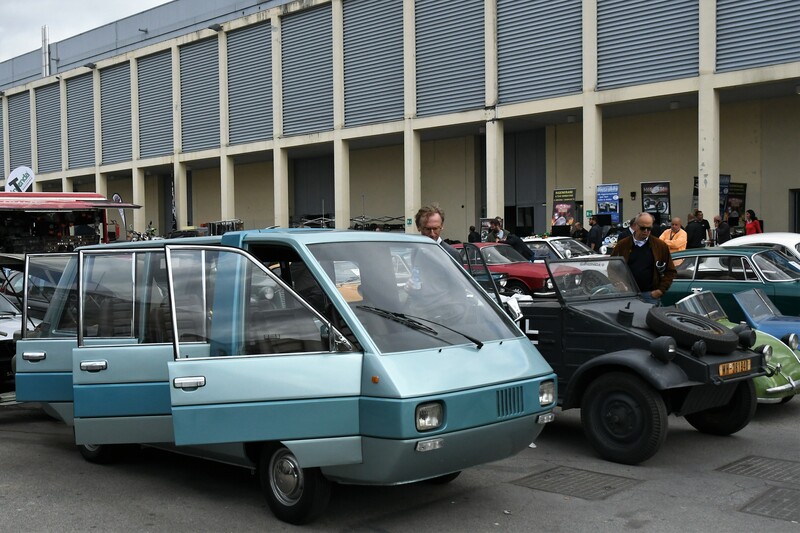 It is interesting to note that this year’s Auto Moto d’Epoca car show saw very few pre-war cars in attendance, with the notable exception of an 1892 Peugeot Type 3. 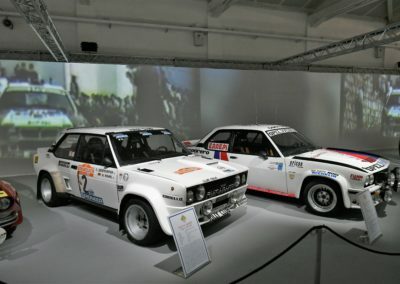 This amazing car (chassis #25), a real highlight of the exhibition, was the very first car to circulate on Italy’s roads. 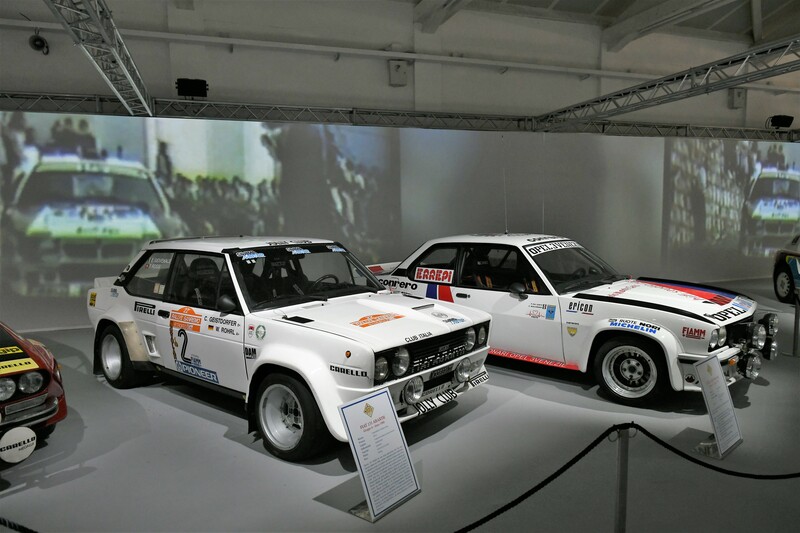 It was brought along by the Historic Car Club of Schio (Vicenza), which currently has it on loan from its owner, the National Automobile Museum in Turin. 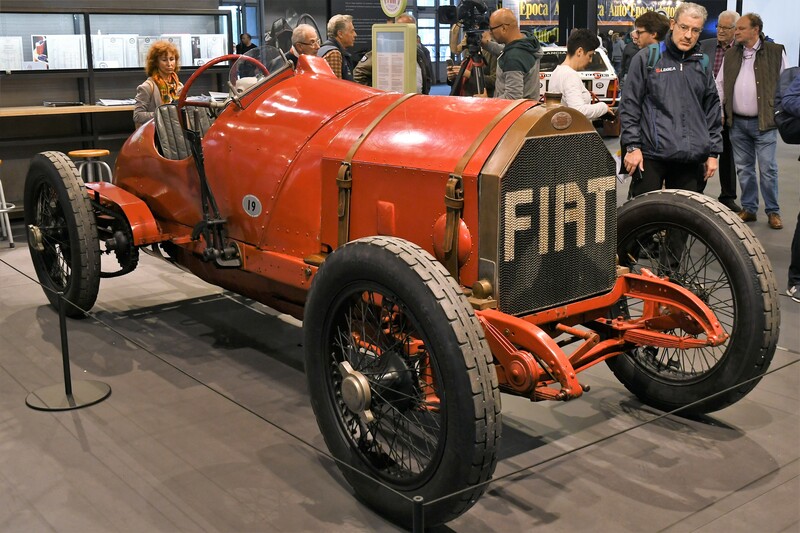 Another pre-war “beauty”, a 1921 Avion Voisin C1, was shown by the Museum Nicolis, which was recently named Museum of the Year at the Octane Historic Motoring Awards 2018 in London (an event that actually coincided with the Padua show). 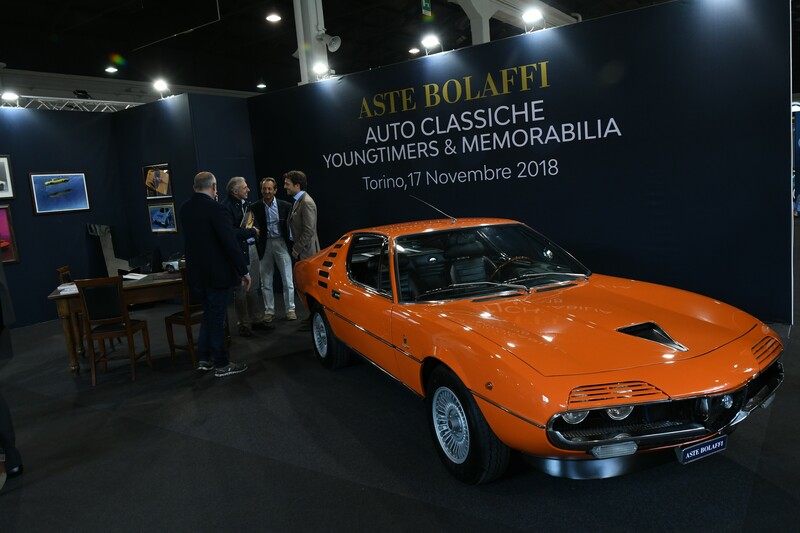 As for the more recent cars, Auto Moto d’Epoca, confirming a trend that started a few years ago, provided a great display of 1970s-1980s and 1990s cars, with hundreds being offered by traders and privateers. While most of these were average, prompting us to remark that knowledge has never been as crucial as it currently is if you want to avoid bad purchase, some pieces were real gems, difficult to find in their current condition. 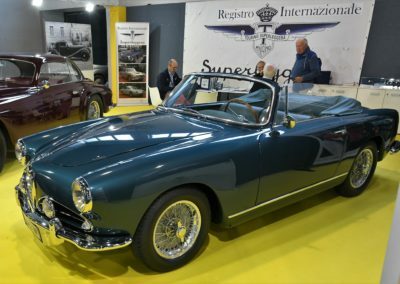 The event provided confirmation, once again, that Italy is still a place where it is possible to find treasures tucked away in garages. 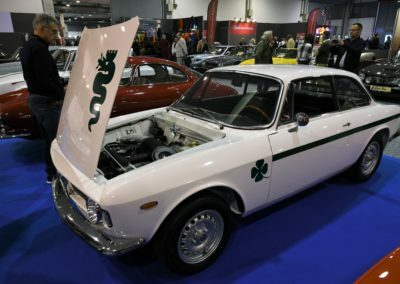 The only thing that has changed over the years is their age: whereas these wonderful discoveries were once 1950s or 1960s cars, the treasures coming to light today tend to be more modern cars, 20 or 30 years old: one case in point was an immaculate 1997 Alfa Romeo GTV V6 3.0 24V, equipped with all the optionals. 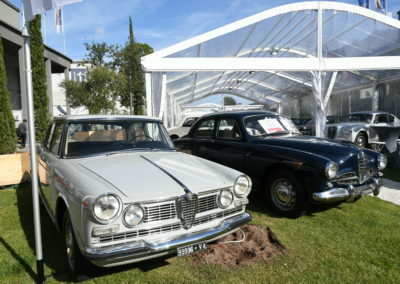 Highlights among the classics included a totally preserved, two-owner Ford Capri 1.3, which caught the eye of many visitors, including people who are not normally fans of the model, an incredibly perfect Alfa Romeo 1300 GTA, and a very rare (one of only 501 built) 1963 Alfa Romeo Giulia 1.6 Ti Super. 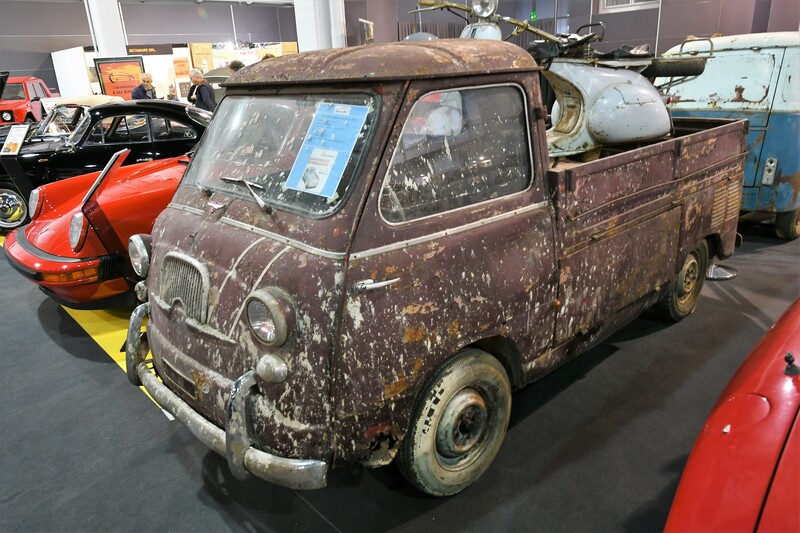 One very rare survivor among the vehicles offered for sale was a 1958 Fiat 600 Multipla Coriasco Pick-Up, in need of extensive recommissioning. 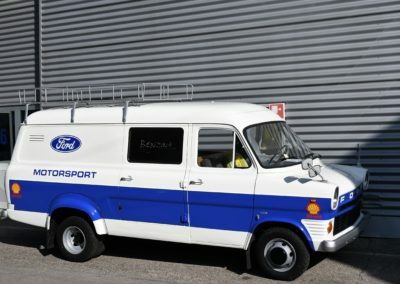 Judging by its appearance, it has probably just resurfaced from the depths of some contractor’s warehouse. 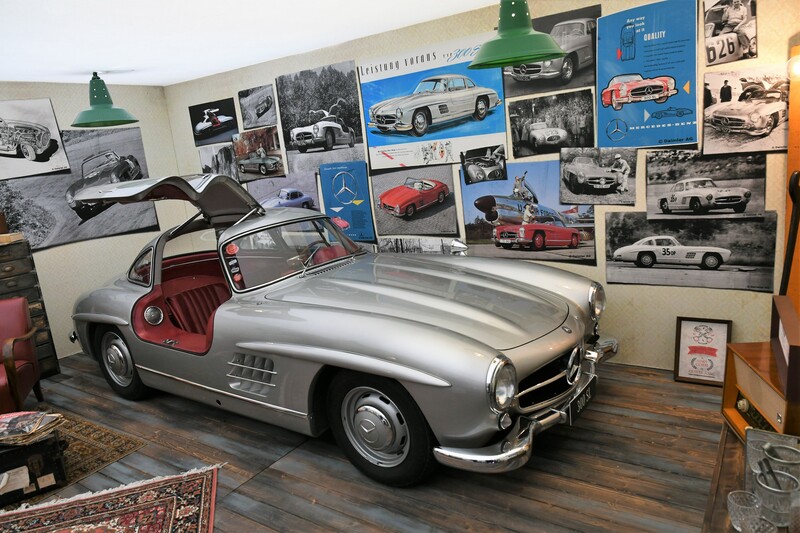 On the business side, the asking prices tended to be high, but the sellers were nevertheless willing to listen to serious potential customers. 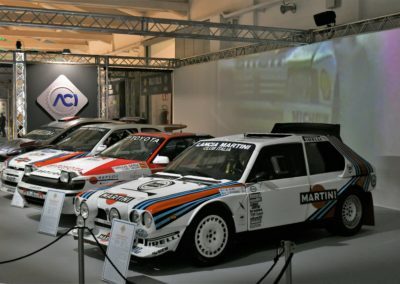 Some cars changed hands pretty quickly, during the first morning in fact, followed by a number of others over the course of the first day. 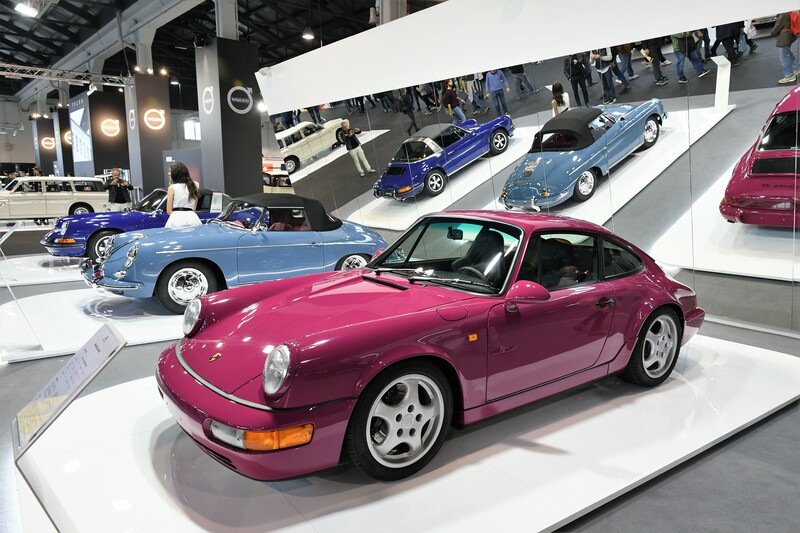 Interestingly, the prices became increasingly debatable as the show drew towards its close. 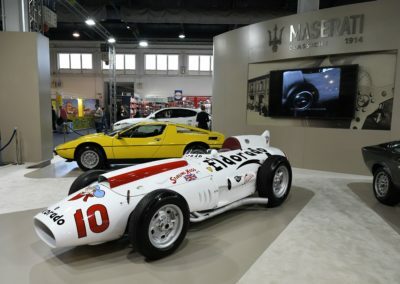 FCA mounted a single stand, pretty rich, devoted to the Heritage division of the company’s brands (Alfa Romeo, Fiat, Lancia) plus another one for Maserati, where it showed the 1958 420/M/58, known to many as the Maserati Eldorado, named after the sponsor (an ice cream manufacturer) that entered it in the Corsa dei Due Mondi in Monza. 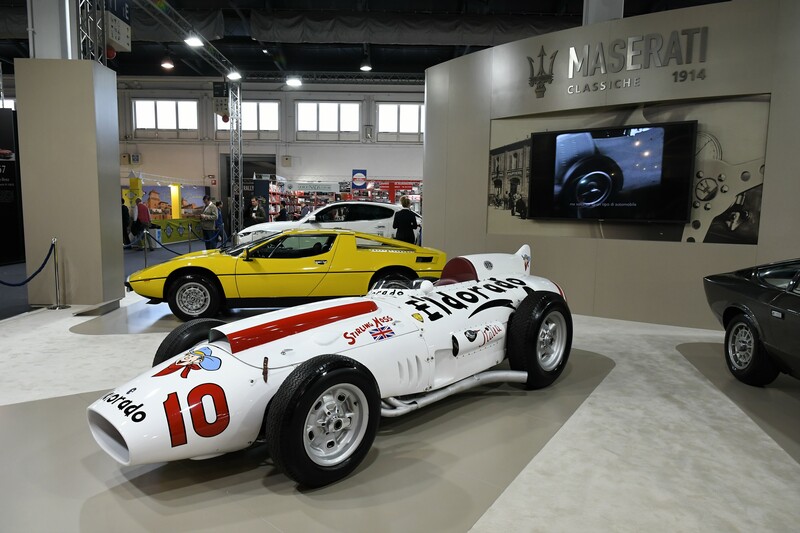 It is still considered one of the most representative Maseratis of all time, and is today part of the Panini Collection in Modena. 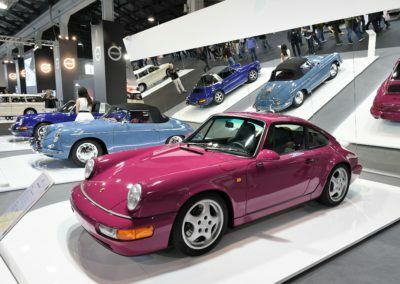 Porsche, this year celebrating its 70th anniversary, had, as always, an impressive stand, in the middle of the area given over to the auto clubs. 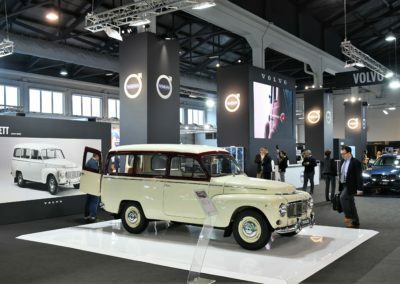 Mercedes-Benz, occupying its traditional space, exhibited one of its C111 prototypes, together with perhaps too many modern cars. 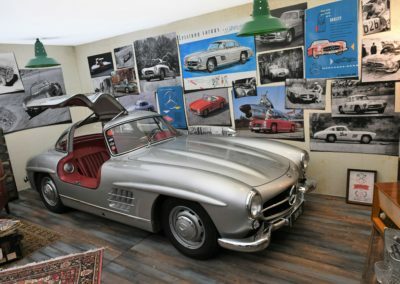 Nevertheless, the Stuttgart-based company takes my “prize” for the most interesting idea, being the manufacturer responsible for the anonymous-looking container located at the entrance to the show, which turned out to be a sort of time capsule: on entering it you found a 300 SL Gullwing “parked” in a perfect 1950s garage featuring authentic equipment, furniture and even wall posters. 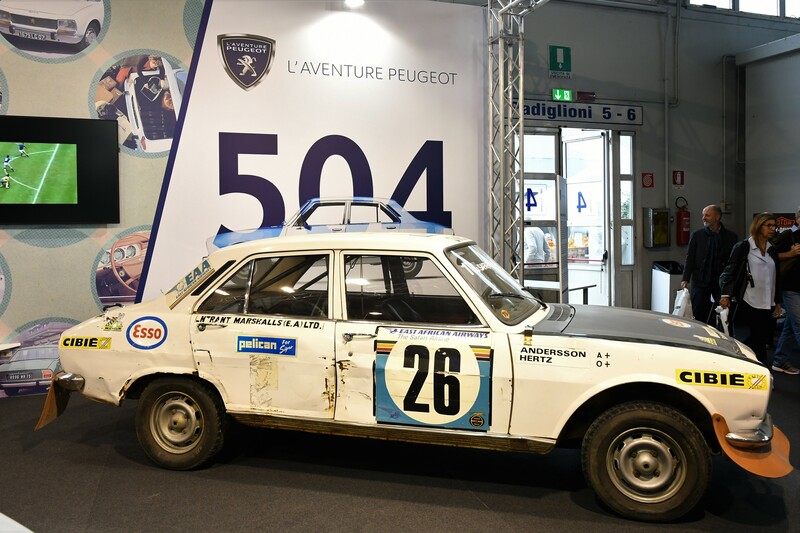 The Peugeot and Citroën stands were both quite small, but the Peugeot one was a real hit, thanks to the presence of the original Peugeot 504 Sedan (a model this year celebrating its 50th) that won the 1975 Safari Rally with Ove Andersson and Arne Hertz at the wheel. 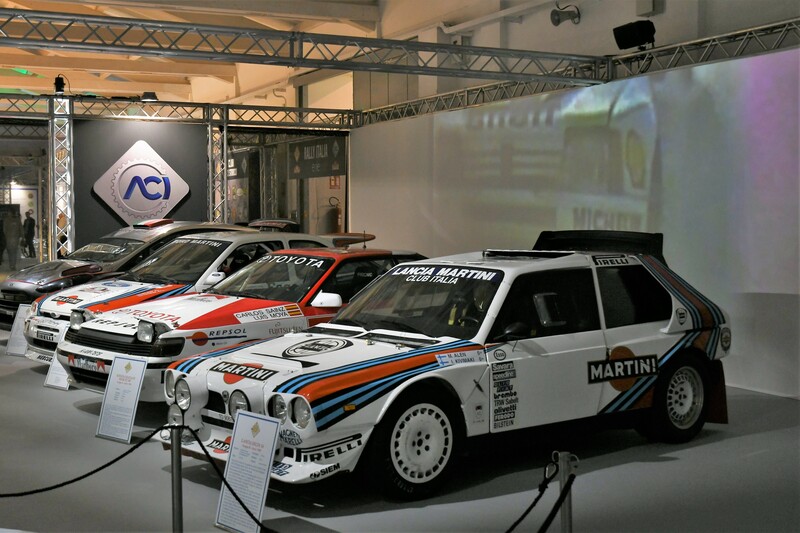 The toughness of this rally is demonstrated by the fact that a mere 10 entrants, out of the original 75, actually made it to the finish line. 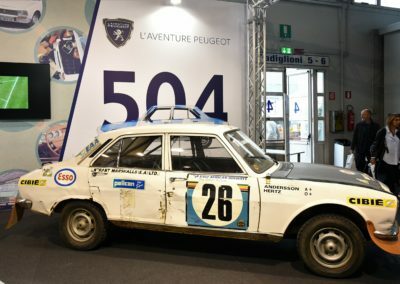 This amazing car is still in the conditions it was in just after finishing the race, and it was absolutely fantastic to have the opportunity to see it “in the flesh”. 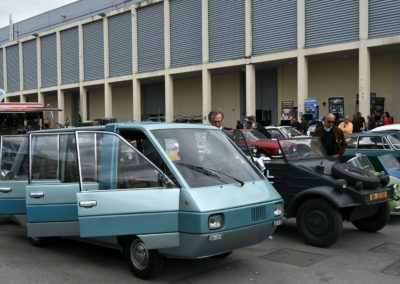 Indeed, I believe this was its first ever appearance in Italy. Volvo is currently selling well and enthusiastically investing the fresh money generated in the brand’s heritage; its Padua display was quite impressive, documenting the evolution of its station wagons, from the 1950s to the current model. 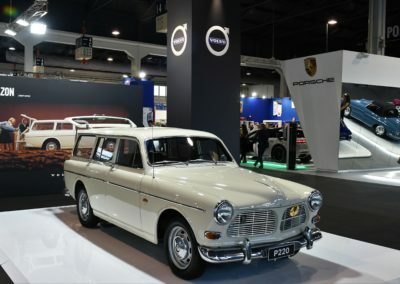 Accordingly, it featured one of the smartest cars ever built by the firm, the P1800 S.
As is often the case, the various clubs, from the biggest to the smallest, were the real heart and soul of this Padua show, and they serve as a reminder that the passion and enthusiasm of club members and small collectors can seemingly make anything possible! The club stands are usually the least favored by the organizers, because clubs “have little money to spend”, but without them this show, like the others, would quickly die. In the Club pavilion we spotted some amazing cars, including a freshly and charmingly restored BMW 3.0 CSL, which looked like a potential 100 points car, and a very rare Alfa Romeo 1900 Cabriolet Touring, one of the only two or three ever built by the firm. Service stations are a part of the landscape. 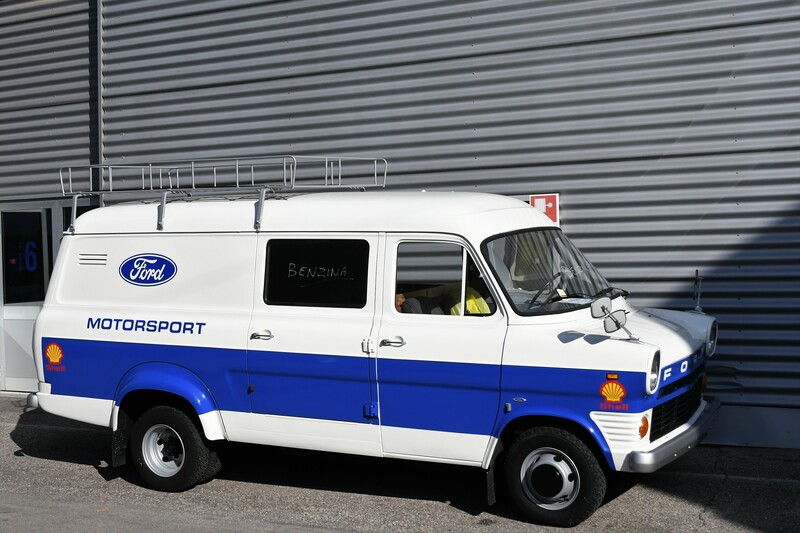 We use them every day, and yet we probably never stop to think about how they have changed over the years. 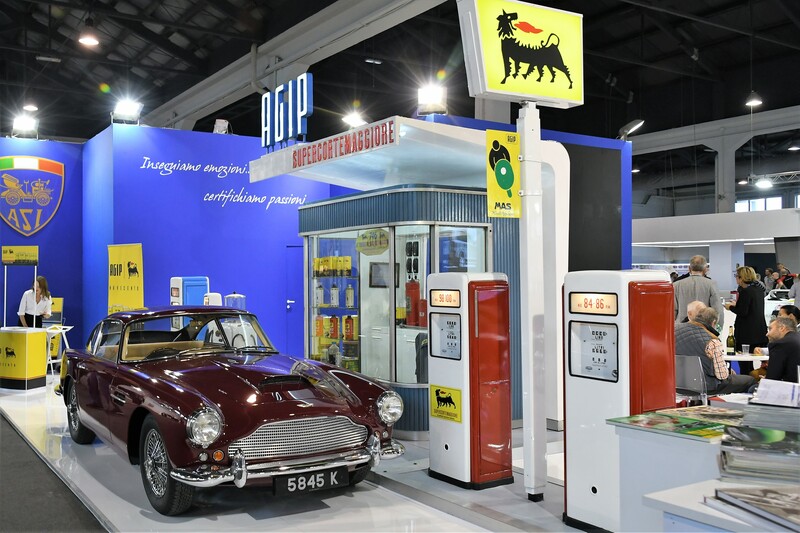 The complete Supercortemaggiore gas station that was on display in Padua is, most likely, the only survivor of its era. 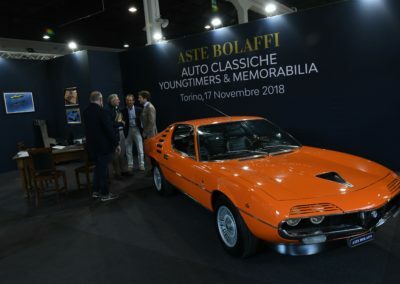 It belongs to an Italian collector whose family worked for Eni (which used to market its products under the brand names Agip and Supercortemaggiore). 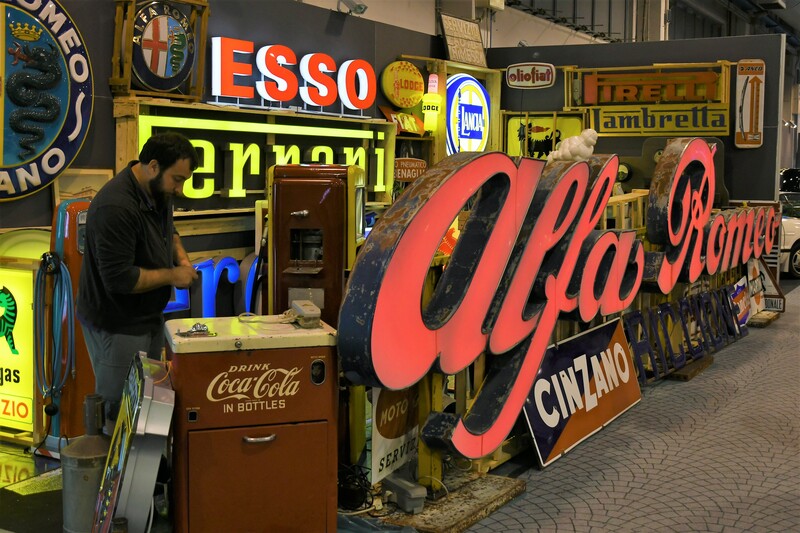 Its owner keeps it dismantled in a warehouse, ready to be assembled for shows as a sort of modern art installation. 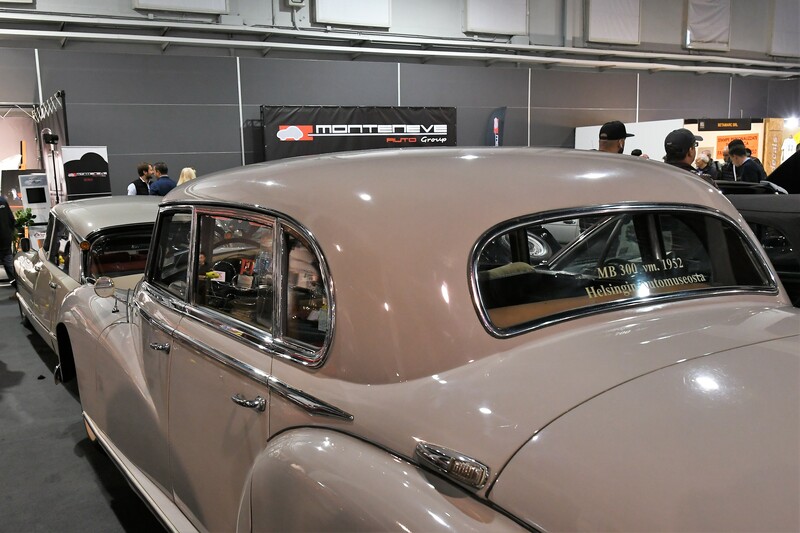 It had absolutely everything you might expect to see, from the fuel pump (in perfect working order) to the air and water area, the oil cans in the “office”, and the insignia “flying overhead”. To complete the scene, there was also an Aston-Martin DB4 (a model this year celebrating its 60th anniversary) filling up! 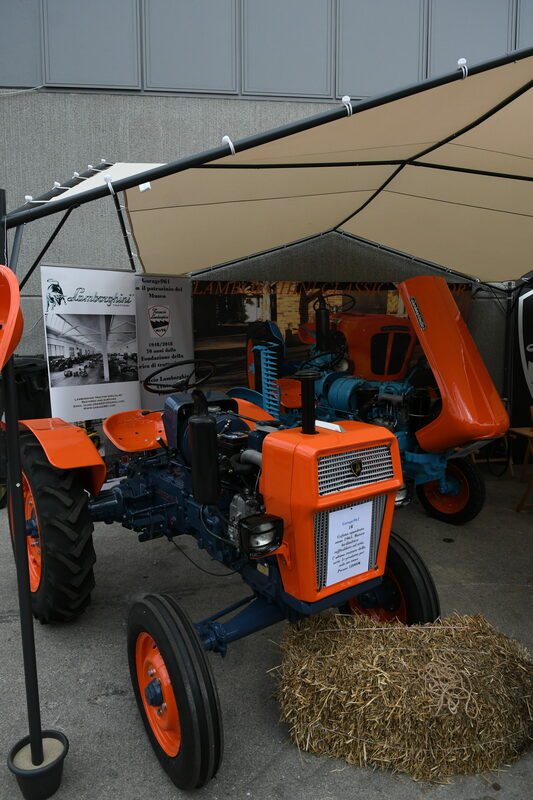 The parts pavilion is one of the most visited at the Padua show. 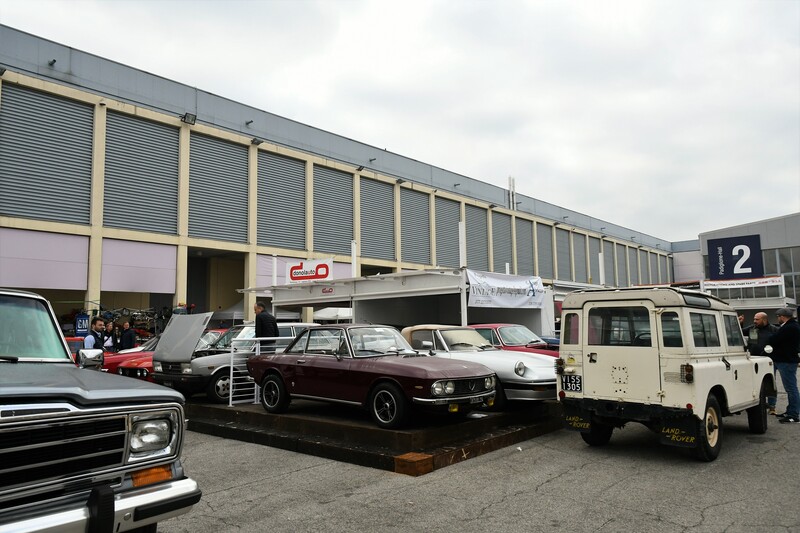 There is perhaps no other venue anywhere offering such a wealth spare parts for Italian cars, ranging from instruments and seat frames to engine blocks and electrical systems. 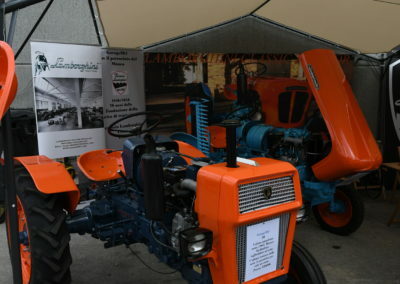 Handbooks and official shop books are offered too, as are period sales brochures and pictures. There was a plentiful supply of spare parts for 1960s-1970s-1980s Alfa Romeos, with a particular expansion of the market for the Alfa Romeo Series 105 (Giulia sedan and coupe). 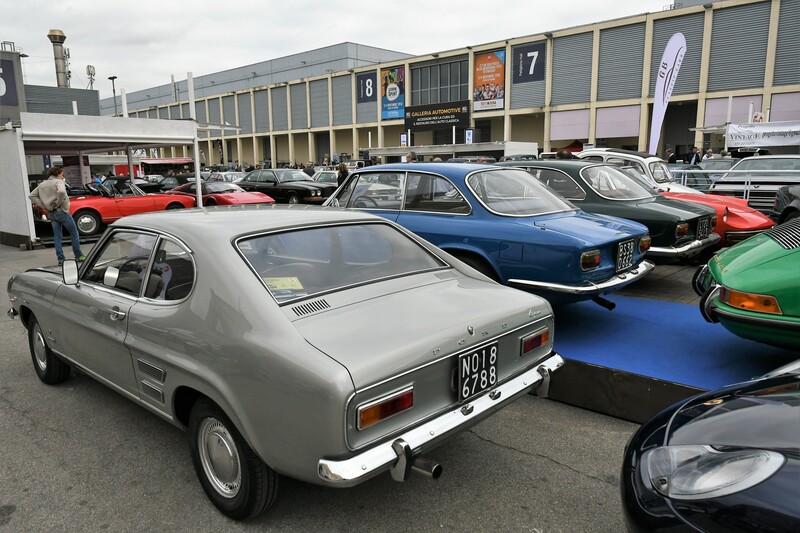 Overall, there are now more and more Italian cars on the road or under restoration that need spare parts, and Padua, as always, proved that it is the place to find them.